Last week’s landmark Supreme Court ruling on marriage equality came just in time for the annual Pride celebration here in San Francisco. I’d attended Pride weekend festivities numerous times, often marching in the parade. 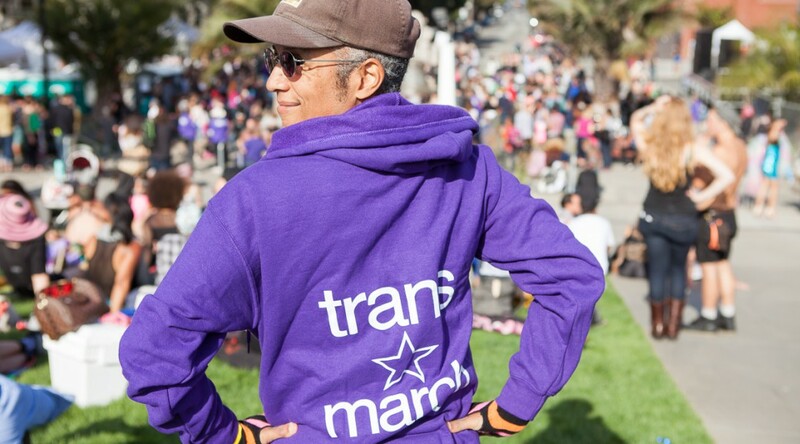 I had a great deal of fun dancing on a float with the Bisexual contingent years before my transition, and singing along with the Lesbian/Gay Freedom Band while carrying the Transgender flag last year. But each year after I finished marching down Market Street and waving to the thousands of cheering onlookers (which, I’ll admit, felt awesome), I would be overwhelmed by the crowds, corporate branding, and abundance of alcohol. (I haven’t had an alcoholic drink in over six years.) I felt that Pride had become a giant beer-soaked sellout, catering more to gawking tourists than to the needs of the LGBT community. So this year, I did not attend any official Pride events. 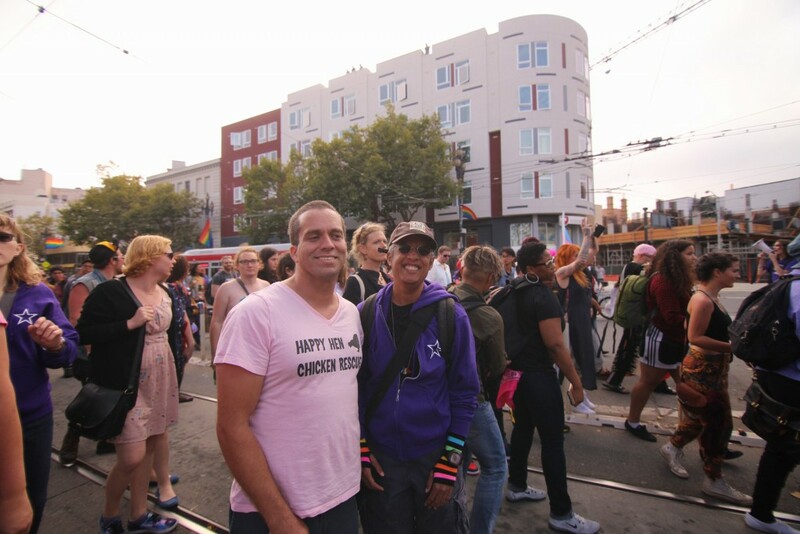 Instead, I went to the Trans March, an officially safe-and-sober event organized and run entirely by volunteers. I’d first attended the Trans March last year with my partner Ziggy. This year he was out of town, but my friend Chris came along (and also took the two photos of me in this post). I was particularly interested in getting good photos of the pre-march performances on the stage this year, as my friend Diana was playing a set. 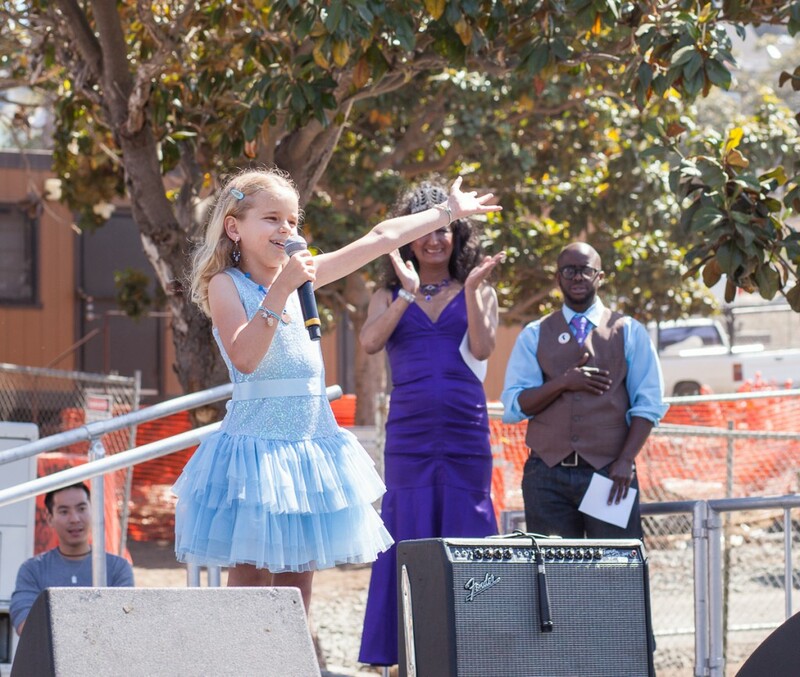 Another highlight was this adorable little girl, Emmie, singing “Popular” from Wicked. Dancers from AsiaSF gave an energetic and exciting performance. 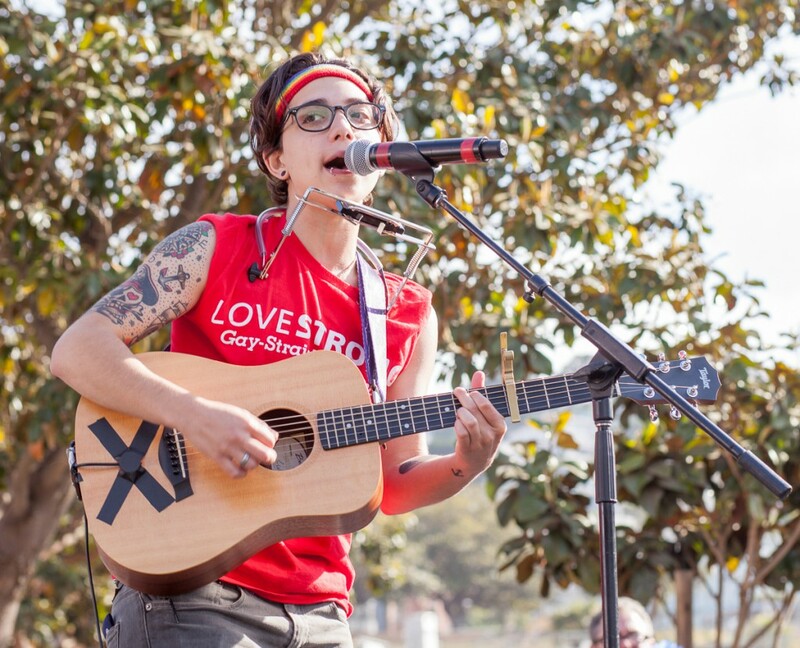 The headliner was Ryan Cassata, trans male singer/songwriter and activist. But my greatest delight was a surprise appearance by the talented and inspiring Laverne Cox, trans actress and activist. 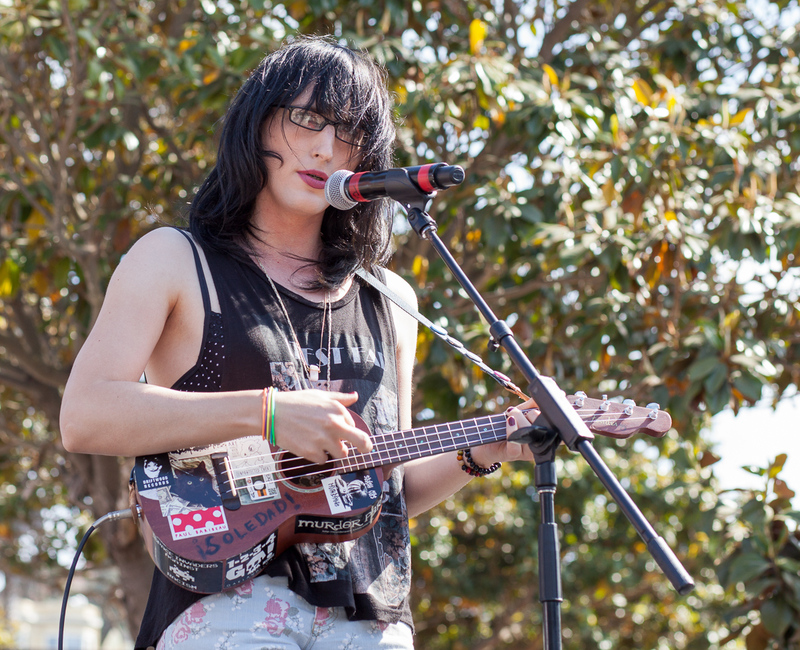 She gave a great speech about the realities and hardships of being a trans woman of color. I’ve made all of my photos from this event available under a Creative Commons license, so they can be shared freely for noncommercial use, with attribution. I’ve posted the full set to Flickr (Laverne Cox photos are in a separate gallery), and uploaded a few to Wikimedia as well, to support the Wiki Loves Pride 2015 campaign. I’m glad to live in a city where events like this can happen. Trans and nonbinary people need more visibility, so that we can get the rights, respect, and resources we need and deserve. * Inspired by Everyday Feminism, I am using extended image descriptions to make my blog more accessible to the blind and visually impaired. Previous PostWelcome, and thoughts on marriage equalityNext PostWhose holiday is it again?